The Beloit Area is Filled with Amazing Antique & Vintage Shops! Antique hunting is almost as good as stepping back in time. Discovering items decades or centuries old, and reusing them, has a unique charm to it. Whether you’re on the hunt for a 19th century carved oak table, hoping to find some unique gift items, or just intrigued by the idea of discovering old treasures, a visit to Beloit’s antique shops awaits you! Start your day around 10 a.m. so you have plenty of time to shop around. You can visit all the places on our list on a Friday or a Saturday. Vintage Bliss is a located on Riverside Drive, Beloit. Entering Vintage Bliss, you immediately get the feel of artsy and edgy. A pair of black combat boots, repurposed into pots of cacti, sits at the doorway. The words painted on the window – Found, Rescued, Re-loved – perfectly sum up the store’s motto. With more than 10,000 square feet of space, Vintage Bliss houses around forty vendors specializing in antiques, memorabilia, and vintage items. The store’s organization is brilliant – vendors are located in separate sections depending on what they sell. You’ll know exactly where to look if you’re there for vintage road signs, or you can pick your favorite pendant from the variety of unique jewelry vendors. 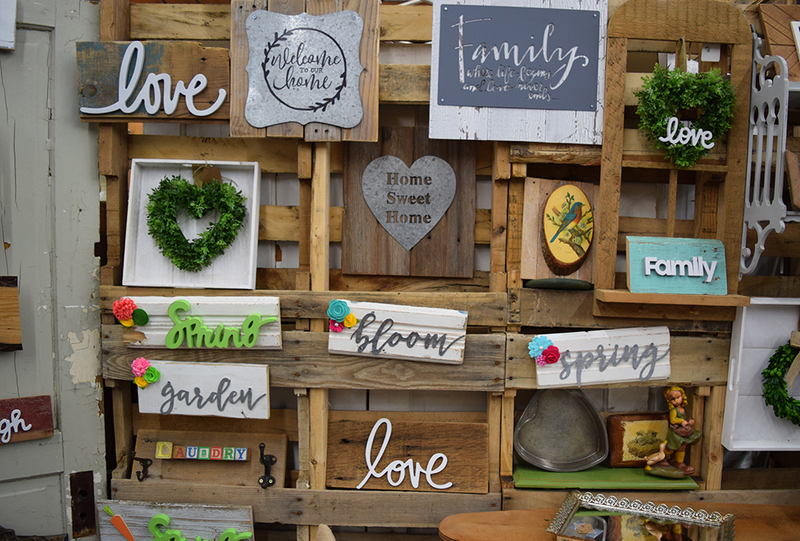 One vendor has a large collection of wooden photo frames and painted wall hangings. Another offers wooden or wrought iron chairs, sofas, and decorative pillows. Browse around and you should find plenty of home décor options. A particularly interesting section offers small models of vintage Ford trucks and real parts including wheels, number plates and lights. Walk throughout the barn décor-style space to try out all the vendors. If you find a cute trinket for a birthday or anniversary gift, pair it with a witty card from a nearby vendor. Tour Vintage Bliss with this video. Then take a 10-minute drive to South Beloit for a line of antique shops to survey. First up is Angela’s Attic – a large and recently expanded store space offering a vast variety of antiques, vintage items, some collectibles and craft items. Some items date back to the Victorian era. Corridors and tunnels lead to separate sections and rooms, housing over one hundred vendors in a vast 35,000 square foot space. Angela’s Attic exudes an air of antiquity; it is also built in a renovated historic factory. This store is probably every antique lover’s paradise – it will literally take you hours to look through all the vendors. There are surprises and treasures to uncover at every corner – collectible Barbie and All American Girl Dolls, old coins, vintage wedding dresses, and more. A cookies and coffee corner is set up near the front desk for you to recharge at after all that browsing. Angela’s Attic has a large collection of furniture – desks, chairs, coffee tables, Hoosier cabinets and cedar chests – making it a favorite among furniture and home décor enthusiasts. A baseball section, beautiful scented candles, books and magazines, sheet music, posters and other paper collectibles, teddy bears, jewelry, utensils and pottery are more things to look out for. Frequent visitors include antique collectors, travelers passing through, and people shopping for gifts. It is also particularly popular for its antique hardware corner, but it really has something for people of all ages. Tour Angela’s Attic with your family – if you have kids, bring them along because they will enjoy seeing toys of old! Primberry Antiques is next in line and located on the same street. The owner, Adam, is extremely passionate about antiques and started the business seven years ago, basically because he “loves the good ol’ stuff.” Adam prefers selling from his own collections – he loves going on adventures and returning with items for his shop, often seeking items out based on word of mouth. Primberry has one main vendor, and a few large rooms offering items such as wooden furniture, car collectibles, and décor items like pots and vases. Vintage signs from roads and farms are extremely popular. Antique and primitive items, especially wooden dressers with numerous drawers and compartments, are favorites for Adam and his customers. 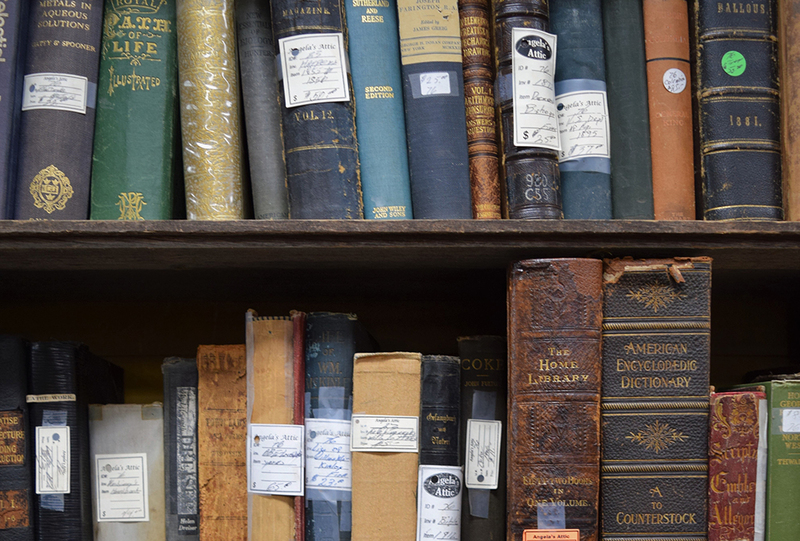 It will probably take you about forty-five minutes to an hour to look through all the collections. Travelers often stop by at Primberry, just to look through, and then fall in love with an item. Sometimes, people come in looking for a specific item, and Adam is always excited to help them on their quest. By now you probably have a few items to add to your antique collection. 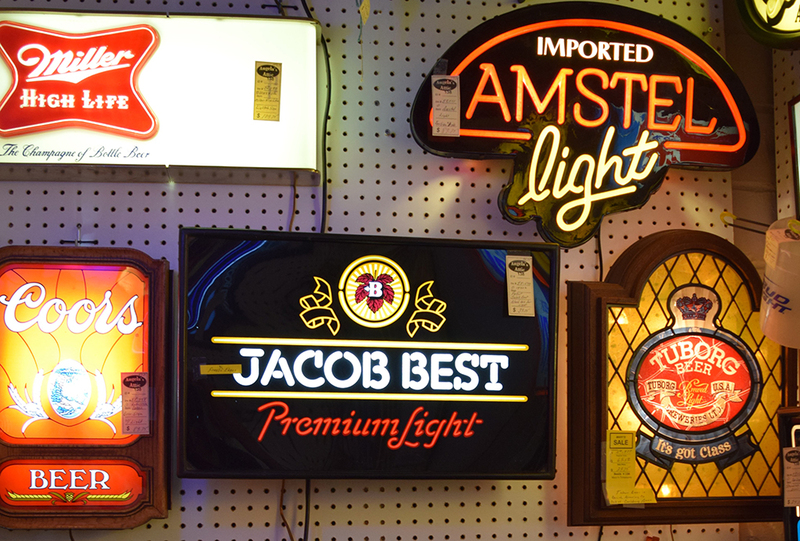 Why not stop at Downtown Beloit to try out more antique offerings? Enjoy a refreshing lunch while you’re on your way! Zen Sushi & Grill brings authentic Japanese cuisine to Downtown Beloit, offering fresh sushi, sashimi and more. You could also drop in at Lucy’s #7 Burger Bar for some great burgers or visit Bushel & Peck’s for a refreshing farm to fork dining experience. If you are looking to spruce up your apartment and you have vintage on your mind, drop in at My Apt. @429, located in Downtown Beloit. 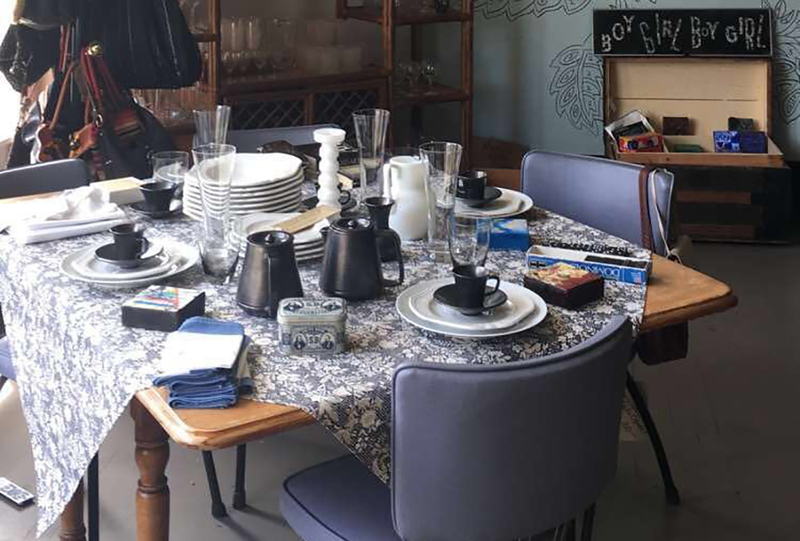 This store specializes in repurposed and vintage home décor. You can find ornate furniture, a number of kitchen items, some pottery, and elegant clothing and handbags. Various items date back to the 1900s, although some are much more recent. The owner, Betsy, has been running My Apt. @429 for around fifteen years. She loves being a part of the downtown Beloit community and especially – meeting décor enthusiasts every day. Take a look inside My Apt. @429 with this video. Resume your antique hunt with a ride to Rockton, Illinois. Downtown Rockton has splendid antique and gift shops lined up! To browse through a wide variety of home décor/accents, furniture, and lighting, enter Village Loft of Rockton. Their selections range from antique to modern, with vintage, repurposed, primitive, and country in between. Add color to your space with some repainted chairs, cabinets, or cute stools. If you want to add your own creative touch to your décor pieces, consider signing up for Village Loft’s chalk mineral paint classes! You can bring your own piece or Village Loft can provide you with one. You have the option to use sixty different colors and master various painting techniques. Next up is Rubies n Rust Antiques. This wonderfully decorated store welcomes you with a homely feel. It has been selling antiques, vintage, and repurposed pieces since 2014. Handmade gift items and primitive furniture are the most popular, especially among youngsters aiming for farmhouse-style home décor. Their antique section features dressers dating back to the 1800s. The owner, Tamara, has friends and family helping with the store – one friend supplies homegrown popcorn, and Tamara’s niece specializes in beautiful hand lettered wooden signs. Prices at Rubies n Rust range from twenty-five cents for Scrabble letters to a few hundred dollars. An antique clock can sell for a few thousand dollars. 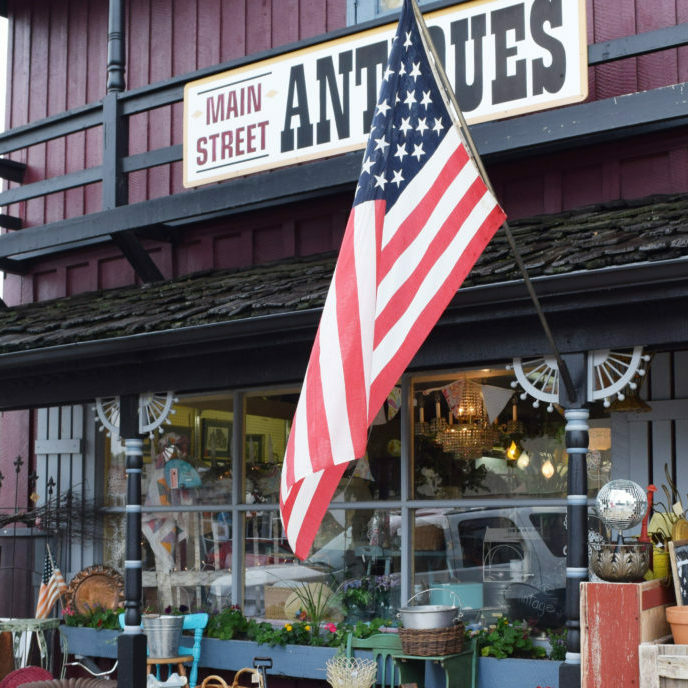 If you’re looking for a sweet end to your antique shopping trail, enjoy some homemade ice cream at Dairyhaus, or celebrate your antique purchases with your favorite childhood candy at Rockton’s old-fashioned candy store – Sugar Britches.